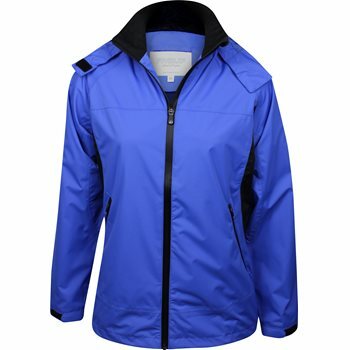 The ProQuip Ultralite Sophie Jacket is a classically cut jacket with the Ultralite fabric technology or an ultra-lightweight, super-soft feeling waterproof. The jacket is protected by a PU laminate and is rustle-free. The outer polyester fabric makes the jacket lightweight and easy to pack into a golf bag. This versatile product also features a detachable rain hood for rainy days on the course.